Enter a perfect opportunity! Right before our move, the friendly people over at Epicurex introduced me to Cocozia organic, kosher coconut water. Given that most of my recipes are generations old, being faced with an ingredient I've never used and one which my usual go to sources (re: my Mom and family) aren't overly familiar with, is rare. But hey, with all the new adventures already happening this Spring, why not throw in a little experimenting in the kitchen too? 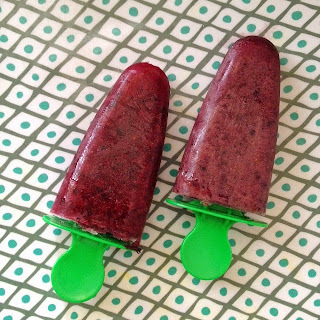 Here's a quick, and easy treat that's perfect to hydrate and cool you off now that the weather is finally starting to change! It requires barely any effort, takes three ingredients and less than 10 minutes to make start to finish (including schlepping out the blender). Put it into the freezer overnight and you have the perfect treat for the next day! And as if there needed to be an added bonus to all of this, it's also healthy! No added sugars or artificial sweeteners! A Mama's jackpot right? 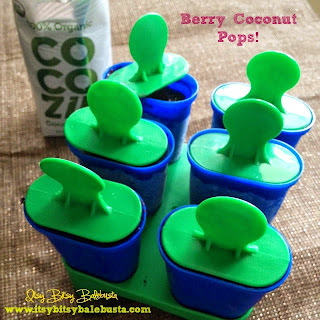 I took this opportunity to try out Cocozia coconut water and added 1 cup to the berry mix. After further looking into coconut water, it seemed like the perfect addition to add a boost of electrolytes without the fat or cholesterol (if you'd feel more comfortable, check with your doctor before introducing new foods/ ingredients to your toddler!). It also contains plenty of potassium and magnesium and is touted as being fantastic for hydration, without any sugary or synthetic additives. In the past few years, the benefits of coconut water and oil have really taken center stage, as a wonder food. Adding a simple cup of coconut water to these pops, has the benefit of adding a variety of nutrients, with minimal effort and great taste (Cocozia actually has a variety of flavors of coconut water, here I used the original, but adding in one of the many flavors opens the doors to all sorts of potential combinations!). It's a simple and effective way to boost treats without compromising on texture or flavor! 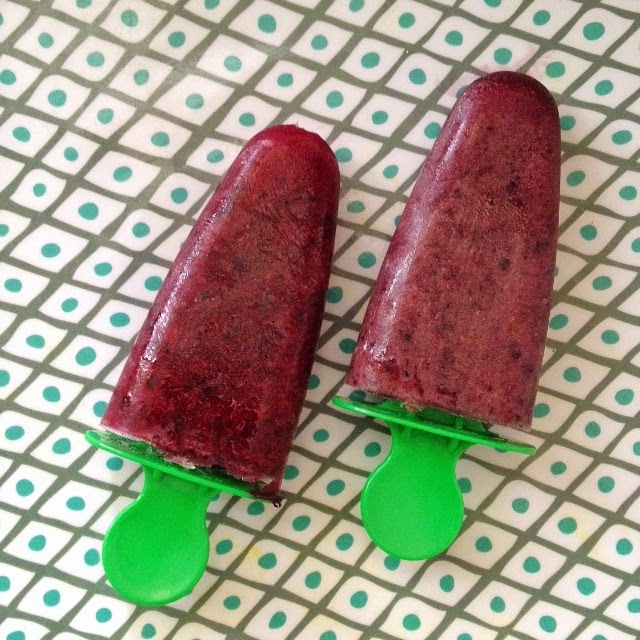 Pour mixture into six, four ounce, ice pop molds. Place into freezer, and freeze overnight. To remove, run under lukewarm water briefly before removing ice pop mold casing. *Feel free to adjust times to suit your preference when it comes to consistency. Do not over puree, as you want a thicker consistency which will freeze better and increase your chances of successfully removing the pops from the forms! My second time making these, I added a quarter of a frozen banana to the mix as well, and pureed an additional 5 seconds, to add a little extra stability to the consistency! 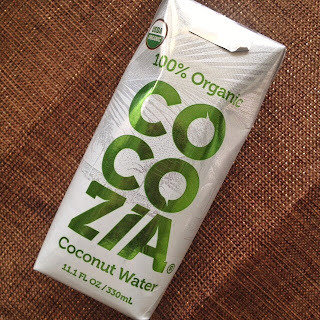 I was generously provided with a sample of Cocozia Coconut Water courtesy of Epicurex. The thoughts, opinion and recipe presented in my post, are all my own.